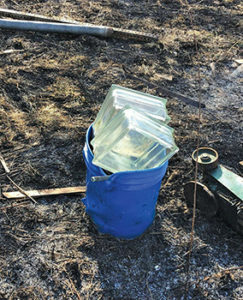 Acushnet Fire officials believe that these glass blocks were the cause of a brush fire when the sun shone through them and focused heat on the dry grass on 3/29/19. Photo from Acushnet Fire & EMS Department Facebook page. 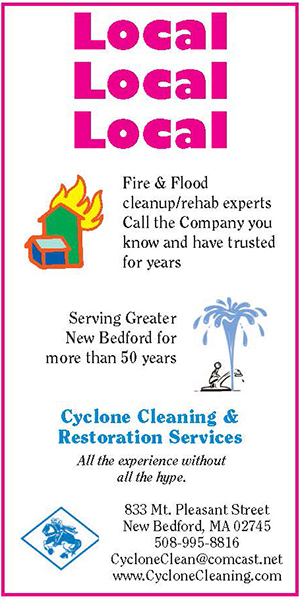 The Acushnet Fire Department reported the “most interesting call of the month,” on 3/29: A brush fire in the north end of town that started from sunlight focusing through glass blocks. According to a Facebook post by Acushnet Fire & EMS, the property owner was not burning brush at the time and there were no “typical heat sources” found at the point of ignition. A firefighter with a drone caught a photo showing the extent of the damage. “We thank the Rochester and Freetown Fire Departments for their assistance,” wrote the Acushnet FD. 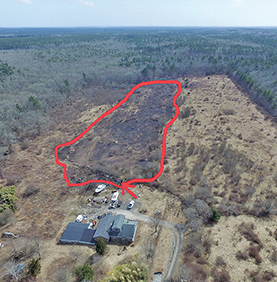 Acushnet Fire officials believe that sun shining through impropertly stored glass blocks caused a brush fire that damaaged this huge area marked in red in North Acushnet on 3/29/19. Photo from Acushnet Fire & EMS Department Facebook page.